A.K. PROPERTIES IS ONE OF THE LEADING BUILDERS & PROPERTY CONSULTANTS OF TRICITY. WE DEAL IN ALL KINDS OF RESIDENTIAL, COMMERCIAL & INDUSTRIAL PROPERTIES AT PANCHKULA, CHANDIGARH & MOHALI. VISIT US FOR REAL ESTATE SERVICES AT: S.C.O. 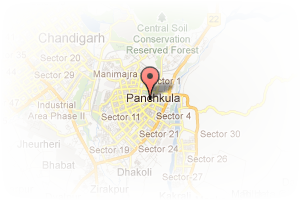 42, SECTOR: 9, PANCHKULA. Address: S.C.O. 42, Sector 9, Panchkula, Chandigarh, India. This Broker Profile page for "A. K. Properties" has been created by PropertyWala.com. 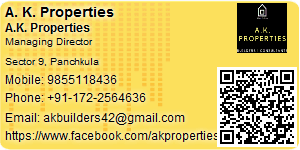 "A. K. Properties" is not endorsed by or affiliated with PropertyWala.com. For questions regarding Broker Profiles on PropertyWala.com please contact us.